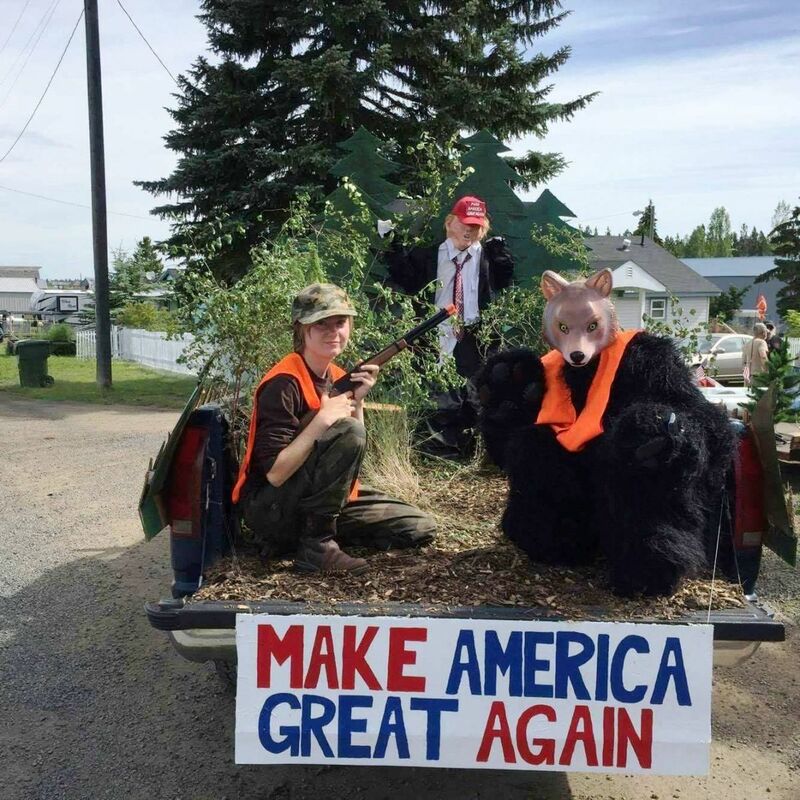 Idaho for Wildlife - Pro wolf nuts take on Donald Trump! Pro wolf nuts take on Donald Trump! positions but they had no idea what this float would transform into! these same assaults during the entire parade. came to watch a peaceful parade. grouped together and we had both sides represented." The Winchester Days ... celebration proved to be a sad day for America. shooting at the image of a human being who is also a presidential candidate. Tacky and shameful. endangered species in any of his campaign speeches to date. You have shown your true colors. ... Goodbye.